The Rancho Santa Fe Historical Society walking tour offers a brief historical overview of Rancho Santa Fe through the buildings and architecture that define Rancho Santa Fe. A pamphlet of the walking tour is available at the Rancho Santa Fe Historical Society during normal office hours or can be downloaded by selecting this link (CLICK HERE). 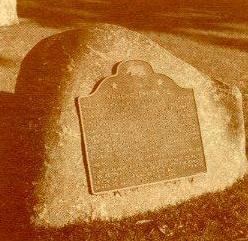 Additionally, the Rancho Santa Fe Historical Society provides Guided Group tours. 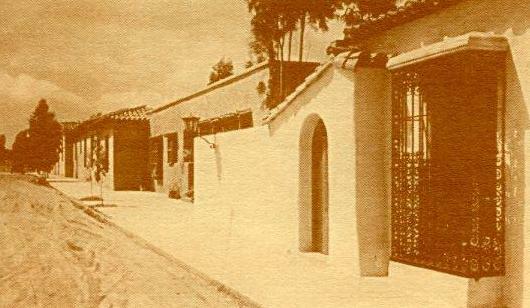 Additional information for the guided tours of Rancho Santa Fe can be found here (CLICK HERE). 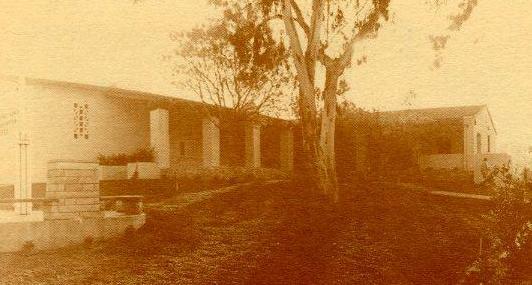 The first residence in Rancho Santa Fe designed by Lilian Rice in 1923 as an example of the Spanish Colonial Revival architecture style she set for the community. 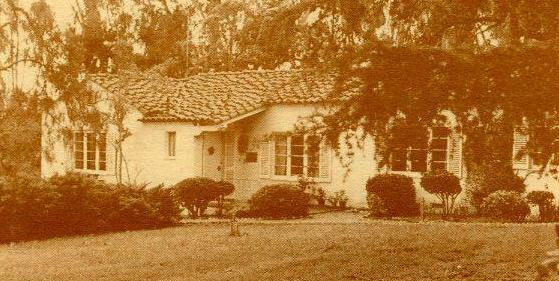 It is also one of the first all-electric homes in the County of San Diego, and served as the first library. 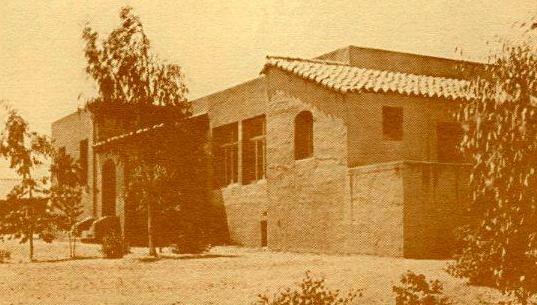 Given to the Rancho Santa Fe Historical Society by the Reitz family in 1988, it was restored with a section of an interior adobe wall still visible under glass. This local historic landmark listed on the National Register of Historic Places has retained almost all its historical integrity. It remains the cornerstone of the commercial block designed by Lilian Rice in 1923 with architectural details establishing a distinctive and varied harmony. Designed by Lilian Rice and Hammond Whitsitt; completed in 1924. That year’s graduating class consisted of one student, Ivy Fidero Laughter. In 1937, Lilian Rice changed her architectural style for this board and batten building. The Santa Fe Land Improvement Company donated the land, and private donors contributed the clubhouse and furnishings. The buildings are now occupied by Country Friends, an organization which grew out of the Garden Club. Designed by Lilian Rice and later the site of the Post Office. Currently the offices of the Rancho Santa Fe Homeowners Association. 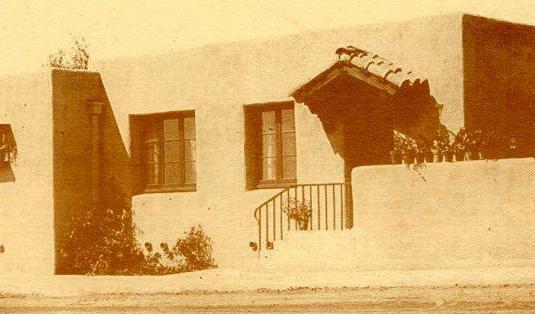 Designed by Lilian Rice for the Santa Fe Land Improvement Company in 1923 and originally called “La Morada”, it set the style and provided accommodations for prospective buyers during the early days of Rancho Santa Fe. It continues in private hands to the present, with a renewed appreciation of its historic traditions. Designed by Lilian Rice in a residential style to blend into the neighborhood. The buttressed mule barn housed the equipment. A recent careful restoration and remodel uncovered the original blue-green trim paint color. A residence designed by Lilian Rice in 1924 and used for a time as her home. 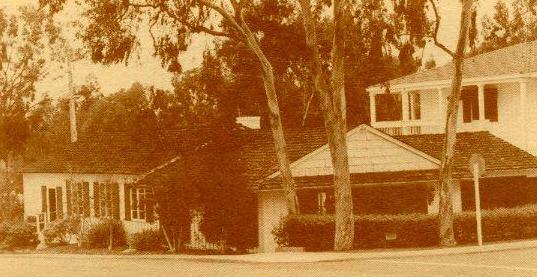 It is now the Rancho Santa Fe Senior Center. The arched entry opens to an interior courtyard with a charming small pool. Originally it provided space for equipment for the Santa Fe Land Improvement Company and Glen Moore, the landscape architect who worked with Lilian Rice on many of the early estates. 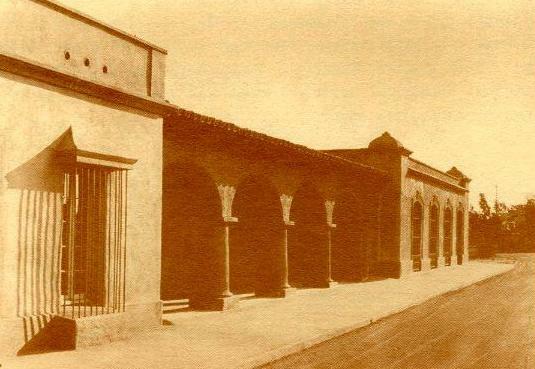 This office building, completed in 1923 for the Santa Fe Land Improvement Company, was also the location of the first post office in the Village – a single counter and scale at the rear of the room. In 1938, Robert Francisco purchased the building and opened “Ashley’s” which served for many years as the community’s only market. This Lilian Rice designed building from the late 1920s was used for storage for the adjoining garage quadrangle, which is now almost totally gone, and later as a home for Louise Badger who operated a soda fountain in an adjacent building. 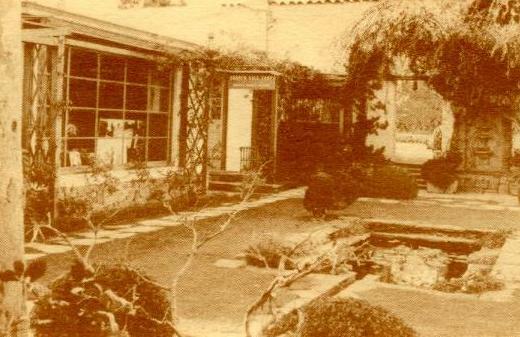 The Badger family has managed groves in Rancho Santa Fe since the earliest days. This building has also been a toy shop and antique shop. 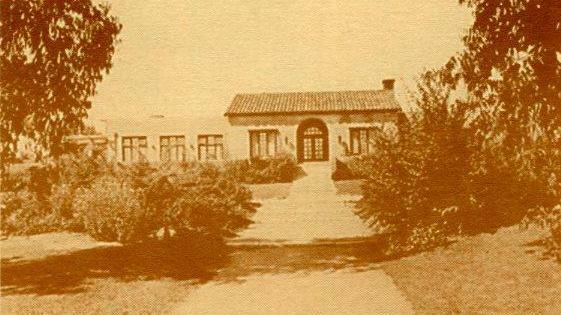 This two story building in the Monterrey style was built for Baron Millard, one of the early planners and developers of the Rancho Santa Fe golf course. It accommodated rooms for short term rentals upstairs with offices below. Lilian Rice had her offices here. It has been slightly remodeled, but retains much of the original beautiful façade. The rowhouses, with joint walls and similar floor plans, were designed to provide private residences within the Village commercial district. Lilian Rice gave each a separate and distinct exterior along the street, with lovely gardens behind high walls in the Spanish style. Completed in 1927, two have been listed on the National Register of Historic Places. Designed and completed in 1927, this was the first commercial building constructed in the Village by private owners, W.E. Joers and H.E. Ketchum. The two story design allowed for an apartment above and a store below. At one time it served as a location for the Post Office. It remains a non-covenant property.